A4H PR – Tampa, Florida – Astronauts4Hire is pleased to announce it has entered into a research and training partnership with the Ashton Graybiel Spatial Orientation Laboratory (AGSOL). The two organizations recently signed a memorandum of understanding agreement focused on addressing the goals, challenges, and issues of astronaut training for private spaceflight. A4H PR — Southampton, Pennsylvania – The era of private astronauts conducting commercial space research missions is almost here! Eight Astronauts4Hire members have successfully completed the Suborbital Scientist Training Program at the National AeroSpace Training and Research (NASTAR) Center in Southampton, Pennsylvania. Flight Members Christopher Altman, Kristine Ferrone, Jose Hurtado, Jason Reimuller, Brian Shiro, and Alli Taylor, along with Associate Member Jules Shiohira Ung, comprised the inaugural Astronauts4Hire class to undergo suborbital scientist training and certification. Flight Member Mindy Howard also completed the course previously. 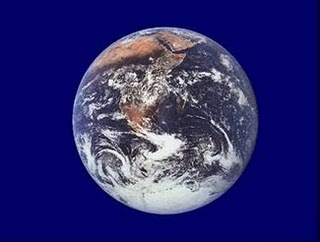 A4H PR – Tampa, Florida – Astronauts4Hire proudly supports the “One Flag in Space” initiative by Blue Marble Space, a nonprofit organization devoted to enabling international unity through space exploration. Astronauts4Hire Flight Members will wear the Blue Marble emblem on their flight suits during training and flight activities beginning with our inaugural training class this July. 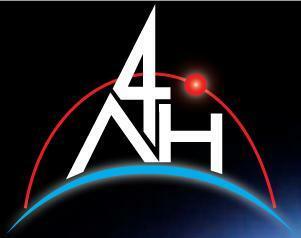 A4H PR — Astronauts4Hire is pleased to announce the selection of its third class of commercial scientist-astronaut candidates. The nine new recruits were selected through a rigorous process that included consultation with former NASA astronauts. Have you ever wanted to be an astronaut? Do you have specialized scientific, engineering, or operational experience relevant to human spaceflight? Now is your chance to make your dreams come true! Astronauts4Hire is seeking candidates to expand its cadre of prospective commercial astronauts. Applications are due February 5, 2011 for full consideration in this selection cycle. Flight members are the â€œastronauts for hireâ€ who are eligible to receive training support from the organization and be hired for flight jobs, including parabolic trajectory microgravity research flights. Astronauts4Hireâ€™s training program is designed to develop flight candidates for both suborbital flights, such as those that will soon be provided by Virgin Galactic and XCOR, and for orbital flights such as those envisioned by companies like SpaceX. Individuals interested in becoming flight members can submit their application via the Astronauts4Hire website, http://www.Astronauts4Hire.org/p/join.html, before February 5, 2011. Finalists will be asked to provide an FAA Class 3 flight physical and verification of their academic credentials within 90 days of selection. Selections will be announced at the Next-Generation Suborbital Researchers Conference in Orlando, Florida by March 2, 2011. Astronauts4Hire is pleased to announce that it has become a sponsor of the 2011 Next-generation Suborbital Researchers Conference (NSRC) to be held in Orlando, Florida from February 28 through March 2, 2011.